The ProvenExpert FAQs offer quick help and information about ProvenExpert. ProvenExpert.com is an online service that helps freelancers and companies get customer and business partner feedback using online surveys. Survey templates for all industries ensure qualified customer reviews that specifically indicate what customers were excited about, what they liked, and where they see further potential. Generated reviews will be presented on your profile and rating seal, giving them instant appeal. 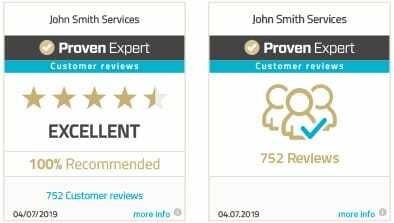 Reviews you might have collected on more than 350 portals such as Facebook and Google will also be imported to your ProvenExpert profile and bundled with your rating seal (number of reviews and overall score). What is the ProvenExpert Enterprise Solution? ProvenExpert.com's Enterprise Solution provides companies and corporations with tailor-made, CI-compliant solutions for measuring, comparing, and analysing customer satisfaction online for individual employees, teams, departments, branches, or your company as a whole. More information is available here: ProvenExpert Enterprise Solution. How can I use ProvenExpert? In just a few steps you can create your free profile in order to collect your first customer ratings. The handling is intuitive and does not require any programming knowledge. Sign up now! What does Proven Expert cost? The ProvenExpert FREE version is and will always remain free. 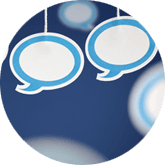 If you require more features or want to receive and present customer reviews on a larger scale, you can choose between the BASIC, PLUS, and PREMIUM plans, or ask us to configure a custom-tailored enterprise solution for you. Protecting your privacy is our top priority. We use the latest web standards and strict guidelines to ensure the safety of your data and that of your customers. More information on the EU General Data Protection Regulation (GDPR) and Data Processing Agreement (DPA) can be found here. Please contact our data protection administrator if you have any questions . How do I get to my profile? If you do not have a profile yet, you can navigate to the free registration via the „Register Now“ Button at the upper right screen margin. If you like to get more detailed information about the three steps of how to create and complete your ProvenExpert-profile, we have summarised everything you need to know in a blog entry. The button „Login“ leading you to the log-in mask is located above right on ProvenExpert.com. Here you can enter your email address and password or just log in via social sign-up using your Xing, LinkedIn or Google account. A further step leads you to your ProvenExpert-profile. What's the difference between the company profile and the expert profile? 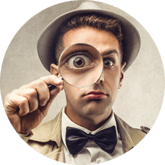 Company profiles and expert profiles are nearly identical in terms of features. If you're looking for a customised and CI-compliant solution for your company, our Enterprise Solutions is the right choice for you. Please get in touch with our support team. How can I change my profile type? 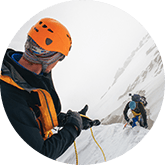 To prevent abuse of our platform, changing your profile type — from expert profile to company profile, or the other way around — is possible only by contacting the ProvenExpert support team. To avoid abuse of our platform, you can only change your profile name by sending a request to our support team. You can change your email address in the profile settings in the “user account area”. Simply click on the blue pen symbol in the “line for email address for notifications and registration.”. You can set a new password in the profile settings in the “user account area”. Simply click on the blue pen symbol in the “change password” line. How can I create a new password if I forgot mine? Go to the Forgot password page. To reset your password, enter the email address you provided to create your ProvenExpert account. You’ll receive an email including further instructions and the required link for resetting. Why can't I change my field of activity? Your field of activity is the foundation of your online surveys. The surveys include a catalogue of questions based on criteria for customer feedback, specifically tuned to your field of activity. You can change your field of activity by contacting our support team if you haven't received any customer feedback. If you've already received feedback, you can no longer make any changes. In the future you will be able to add more fields of activity to your ProvenExpert profile. How do I unsubscribe from the newsletter and notifications? You can unsubscribe from email notifications and the newsletter in the profile settings in the “Reporting & newsletter” area. To do so, simply click on the blue pen symbol and remove the checkmark. You can permanently delete your user account in the profile settings in the “user account area”. Simply click on the blue pen symbol in the “Delete account line” and confirm the selection. You will automatically receive a confirmation email. Alternatively, you can send an email to exit@provenexpert.com. Send the email from the address you provided to create your ProvenExpert account. Why are stars, overall grade, and recommendation quote missing from my seal? To find out more, go to Why are stars, overall grade, and recommendation quote missing from my seal? Why can't I see any ratings on my profile? This may be because your profile isn't public and/or your ratings haven't been approved. You can set your profile to public in the profile settings in the “Privacy area”. Simply click on the blue pen symbol in the and set a checkmark next to “public mode”. To approve ratings, open your profile after logging in and open the detailed view for each review (“View review”) that you would like to approve. Click on the button “Publish review”. Why can't I see older ratings on my profile? This may be because these reviews are older than 24 months and are therefore not displayed in the FREE version, or the maximum number of reviews you can publish, which depends on the plan you've selected, has been exceeded. However, your reviews aren't lost. When logged in, you will still be able to view all reviews in your profile. As soon as you upgrade your plan and raise the limit for publicly visible reviews, your older reviews will reappear in your public profile. Can my profile be found by search engines? If your profile is public, it will be indexed by search engines such as Google and Bing to appear in search queries. Your profile is optimised for searches for your name and field of activity. In addition to your profile name, Google and Bing will also display your overall score in the form of a Google star rating, generating additional attention in any online search. You can change your profile's visibility at any time in profile settings in the “Privacy area” at any time. Displaying a company profile in Google search results. Yes. However, all reviews that you've received via this survey will also be permanently deleted. You can also opt to pause or deactivate surveys. This way all reviews will be kept. I deleted a survey by accident. What can I do? Unfortunately, a survey cannot be restored after it has been deleted. You have to create a new survey and invite customers to provide feedback again. Where can I find the access code to a survey? Via the tab surveys, you can find the particular surveys and the respective invitation option. With „verbal invitation, survey cards & QR-Code“ you can find the specific access code for each survey. What are top competencies and how are they determined? Top competencies are those criteria for customer satisfaction in which you've been ranked highest. They are determined from the weighed average of all reviews. If two competencies have the same average score, the number of reviews decides the order of top competencies. The average with the most reviews appears before all others. In the case of several 4-Star ratings in comparison with single 5-Star ratings, the top competence, which shows a greater count, is still more convincing. That is why the stars are evaluated and offset against the count. Can I formulate my own questions? At this time, it isn't possible to formulate your own questions. However, you can adjust your survey template as you see fit by activating or deactivating individual questions or whole categories and creating surveys for different topics. Can I change the topic of my survey? You can change the survey topic as long as you haven't received any feedback from it. If you've already received one review, no changes to the survey topic are admissible. This is done to avoid abuse and ensures transparency for users. If you have noticed that a mistake has been made in the survey topic, changes may be possible following a check by our support. Can I edit the invitation text or salutation of my survey? Select the survey to which you would like to invite. Subsequently, click on „invite customers via email“. Here you can edit and adjust the invitation text and the salutation to your own desires. The changes of the salutation will automatically be inherited in the reminder email. How do I get customer feedback and reviews? 7 Ways to Get Customer Feedback. If you have already collected reviews on platforms such as Google, you can add and present them on your rating profile (number of reviews and overall score). In our blog post about Aggregating reviews, we will show you how to raise your review numbers and overall score using reviews from other platforms. With the rating aggregation functions, you can combine and display ratings from other websites and more than 350 portals in your ProvenExpert profile. Aggregated ratings appear at the bottom of the profile in the “Ratings from other sources” area with the number of ratings, overall score and link to the ratings profile. Aggregated ratings are included in the calculation of your overall score. 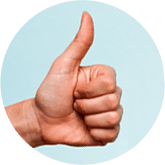 Here, you'll find Instructions for aggregating ratings, as well as a list of review websites for which we support aggregation, are available here. Display aggregated reviews on your public profile. Which reviews can I aggregate? Ratings must be confirmed and authenticated by the reviewer by providing an email address, signing in to the associated ratings portal directly or by using a social media account. Ratings must refer to services that correspond to the field of activity stated on ProvenExpert. What is an API and what can it do for me? Our API is a program interface that you can link to your online shop, CRM software, etc. An API lets you automatically create customised surveys and add them to your email or CRM system. This allows you to add customised links to your survey in emails and get direct feedback from your customers. In our blog post about the ProvenExpert API you can find out how to integrate and use this interface correctly. Beside your „My Profile“-button, click in the drop down menu on “Developer API”. Here, you can find all personalised survey links. How to use and implement them correctly, you can find here. Any customer or business partner can submit a review of your business. However, you can profile settings in the “Privacy area” to determine whether every profile visitor can leave a review, or just those invited by you to give feedback. For more information see our review guidelines. Can one person rate me more than once? Basically yes, but every person can only participate once per survey. Multiple reviews by the same person are only valid, if you ask her for ratings related to different services. Will all my reviews be made public? No, reviews must first be approved by you before being published to your profile. You can make a review public or reset its public status at any time. If you don't make all reviews public, this will be displayed on your profile and rating seal by the absence of the overall score. Why are stars, overall score, and recommendation quote missing from my seal? As a rule, we don't delete any customer reviews. However, if a review includes offensive, racist, or sexist statements or is in conflict with another part of our review guidelines, it will be deleted. You can notify our support team of any such reviews. Have you received a negative review that you're not happy with? Find out in our blog post What you can do after receiving a negative rating. Was a customer hasty in giving you a bad review, but walked away satisfied at the end? In this case, you can ask him or her to rewrite the review. You will find the “Ask reviewer to change rating feature,” as a text link below each review (you have to open the review to see this). How can I report a review? In order to protect you and your customers, our support proves the reported review. If the review contains indignities, contravenes with our review guidelines, Data Protection Directive or if the rater has evidently never used your product/service, a deletion of the review takes place. For effectively taking steps against fake reviews, we have compiled here, how you recognise and proceed fake reviews. Solid hints about a suspicion helps our support to validate and prove the fake reviews. Under specific circumstances, a dispute settlement procedure will be initiated. You can report reviews as follows: At first, select the review to be proved and fold out the details with the blue arrow “view review” of the drop down menu. At the bottom edge, you find the option “report review”. Alternatively, you can directly refer to the reviewer with “E-Mail to reviewer”, “Write comment” or “Ask reviewer for edit”. 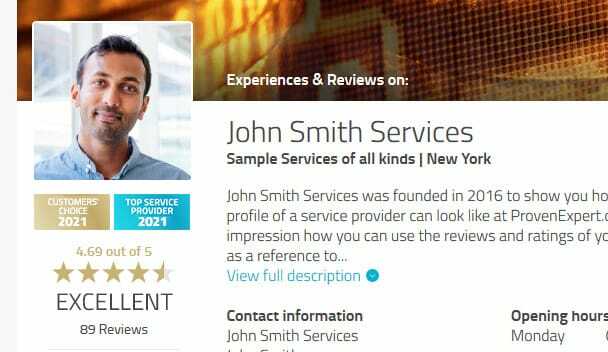 By the way: Even third parties can report reviews of your public profile. Can I correct spelling mistakes in a review? You cannot correct grammar and spelling mistakes yourself. By using the “Ask reviewer to change rating feature,” you can ask your customers to correct mistakes. You'll find the feature as a text link below each review (you have to open the review to see this). When will the star rating appear in my Google profile? For your overall score to appear in the form of stars when your profile comes up during a Google search, all evaluations must be made public, and your profile be set to public, too (“public mode”). As soon as the Google web crawler indexes your ProvenExpert profile, your Google star rating will appear in the search results for your profile. This normally only takes a few days. Can Google star ratings also appear for my website? Yes, you can display Google star ratings for your site in Google search results as well. Google shows the rating data from your profile (total score, rating stars, and number of reviews) in its organic search results for your website as well. To link your website to Google star ratings, sign in, and in your profile menu or the navigation at the top right, click “Google star ratings” to follow the instructions. Note: This function is available starting from the PLUS plan and in the course of the 30-day PREMIUM test period. The display of the Google star ratings in the search results cannot be guaranteed, since this is ultimately up to Google. ProvenExpert has no direct say in the matter. Accordingly to the recommendations of Google, we suggest no implementation of the script on your front page, but on the subpages including content with direct thematic connection to the reviews on your ProvenExpert-profile. 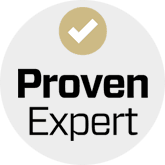 What is the ProvenExpert rating seal? 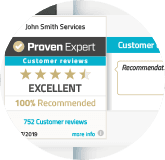 You can publish all reviews that you aggregate through ProvenExpert or more than 350 other review websites in a bundled form using the rating seal. The rating seal is a graphic that can be embedded into your company website or your email signature using HTML code. Clicking on the rating seal opens your ProvenExpert profile in a new browser tab (as long as your profile is set to public). You can find more information on the overview page describing the ProvenExpert rating seal. Why is the rating seal a plus for me? Today, consumers primarily search the internet for services and products with the help of other customers' experiences. For 89 percent, online reviews have the same significance as personal recommendations from friends; for 70 percent, customer ratings are decisive when purchasing a product. The ProvenExpert rating seal is a sign of quality and top service, creating trust wherever your potential customers are – on or offline. How can I embed the rating seal? Log in and go to the rating seal page. There, you can select a version, adjust the shape, and size and then click on the “Generate HTML code” button. Copy the displayed code and insert it into your website. This may be because you haven't approved all your reviews or because the maximum number of reviews you can publish, which depends on the plan you've selected, has been exceeded. 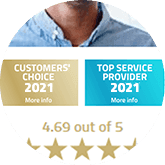 Your seal will display the overall score, recommendation rate and stars only if you make all of your customer reviews and ratings public. If you don't approve a review within 72 hours after receiving it, you will only see the number of published reviews and the date of the latest review on the seal. This is done for legal reasons and ensures transparency for users. Once you've approved all reviews, the rating seal will automatically update. What the seal looks like when all reviews have been approved (left) and when not all reviews have been approved (right). Why do you give out these awards? Enthusiastic customers, excellent service, and being proactive about customer feedback - we think that needs to be recognized. 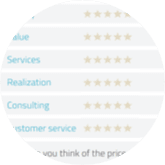 This is why we highlight service providers on ProvenExpert.com that meet the above-mentioned criteria. How often are the awards given out? The awards “TOP service providers”, “TOP recommendation”, and “Customer Choice” are given on a running annual basis. This is why the profile badge, certificate and sticker all display the current year. But there's no deadline for qualification — anyone that meets the criteria during the calendar year is eligible for an award. But there's no deadline for qualification — anyone that meets the criteria during the calendar year is eligible for an award. Which criteria have to be fulfilled by the service providers to achieve the awards, you can learn here. What do service providers who win an award get? Detailed profile view with badges “TOP service providers” and “TOP recommendation”. Are the awards permanent in case they were not reached another time? Sobald die Kriterien wieder erfüllt werden, erscheint auch die entsprechende Auszeichnung wieder auf dem Profil. What are the benefits of winning an award? Our awards are a clear sign of excellence and high customer satisfaction. Winning a ProvenExpert award opens up new marketing opportunities for your business — both online and offline — and gives you a clear competitive advantage. Check out our blog post on 10 Ways to Advertise your ProvenExpert Award. Why haven't I received an award? The criteria table lists the conditions for winning an award. Keep in mind that the minimum number of received reviews is limited to the previous 12 months. Any reviews which are older than 12 months will not be taken into consideration. Also, all the reviews must be made public in order to be eligible for an award. Check to make sure you've approved all reviews for public display in your profile. We only give stickers to service providers that fulfil all of our criteria — we don't make them available for sale. Service providers that have won an award can request additional stickers in exchange for a nominal fee. If you want more stickers, just send an email to support@provenexpert.com. The minimum term of a plan depends on the kind of payment you chose: by booking the monthly rate, the minimum term is one month, by booking the annual rate, it is 12 months. The contract will be extended automatically if you do not cancel it before the notification deadline. You can cancel at any time until 14 days before the end of the term. You can switch plans at any time. Upgrades to more powerful plans will become effective immediately. To do so, click on the “Upgrade” menu and select a plan that meets your needs. Downgrades can be made only at the end of the booked term. How does invoicing take place? We have outsourced our invoicing to our partner Fastbill.com. When you sign up for a plan, it will be calculated for you for one month or one year in advance, depending on the payment type you have selected. The amount will be billed to your specified credit card, PayPal, or bank account. After the end of the booking term and upon each extension of the service, you will receive a bill indicating VAT. Yes. Cancellation must take place at the latest 14 days before the end of the current term. If the cancellation deadline is missed, the contract duration will be extended by another year or month. The cancellation will become effective at the end of the term. After this, your account will be switched to the FREE version. What is the ProvenExpert Affiliate Program? At ProvenExpert, we differentiate between recommendations and the affiliate program. Recommendations: For every successful recommendation, you receive a free month for your booked plan. Affiliate Program: You get a list of personal registration links, which lose validity after being used by the other person. In addition, you receive a partner link, which you can for example implement on your website. The partner link can be used by several persons and is still valid afterwards. How can I recommend ProvenExpert and what are my benefits? For every successful recommendation you are receiving a free month of your particular booked plan. To recommend ProvenExpert, simply click on Recommendations after logging into your profile . Here, you can choose between different kinds like sending a direct email. 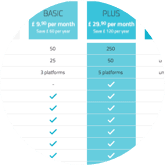 In order to participate in our affiliate program, you should successfully use at least our PLUS plan for yourself. Register for our affiliate program and earn a lifetime commission of up to 20% on each new customer on any of our pay plans. Where do I see my earned commission? You find your personal registration links with the menu item “Affiliate Program”. An overview of all customers registered via your partner-registration links and your earned commissions are listed here for you. When will my commissions be disbursed? Please send us a VAT invoice of your commissions and we will transfer the accrued balance to your account. Simply send us an email at support@provenexpert.com or get in touch by using the contact form. Where can I send my suggestions for improvement? Simply send us an email at feedback@provenexpert.com or use our contact form. Ideas and suggestions for improvement are always welcome.